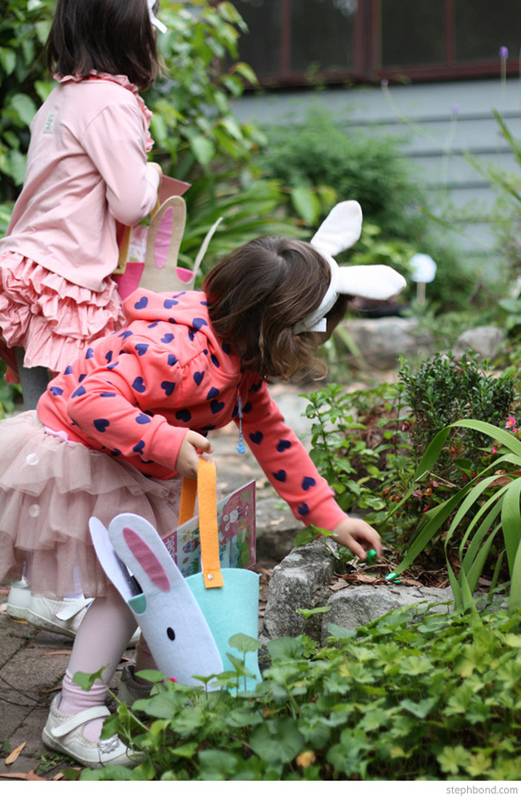 I put together a guide to getting ready for Easter Sunday over on eBay's Mum's Business website, and included a couple of snapshots of my girls hunting for eggs and goodies from the Easter Bunny last year. Thought you would like them! 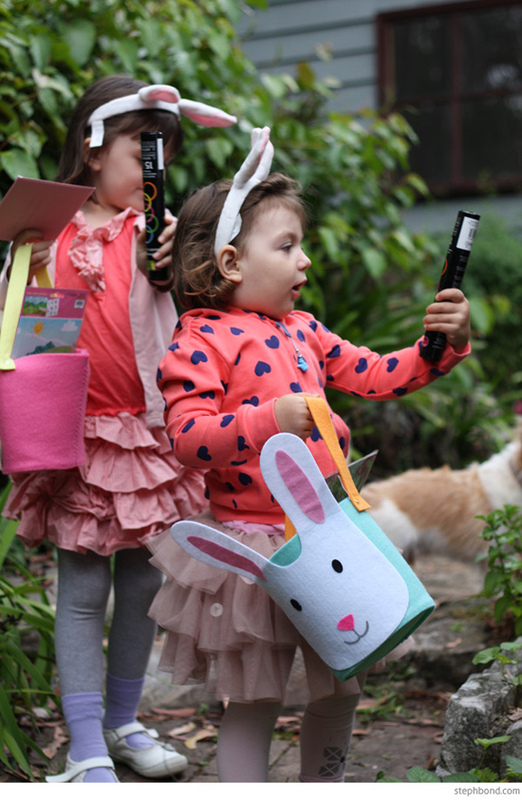 The Easter Bunny delivered a couple of Easter eggs and some fun goodies such as glow sticks, stickers and small toys. 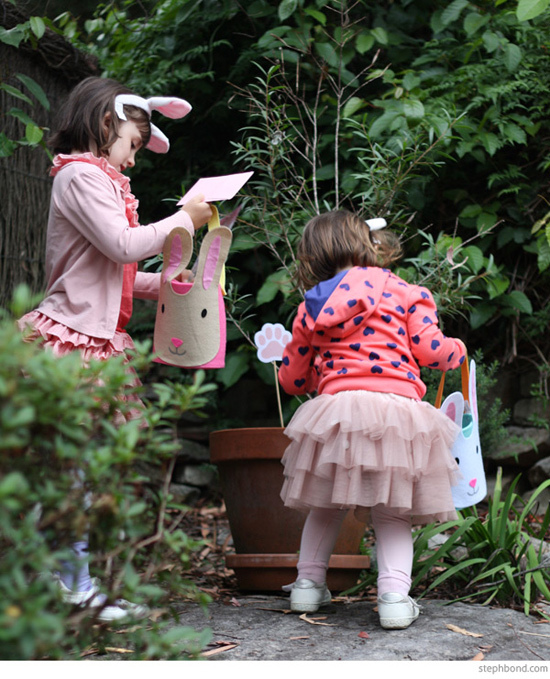 We printed out a few bunny paw prints (from the Love Mae blog) and attached them to wooden skewers to give the Easter Bunny some ideas for hiding spots, and a few clues for the kids. So much fun! 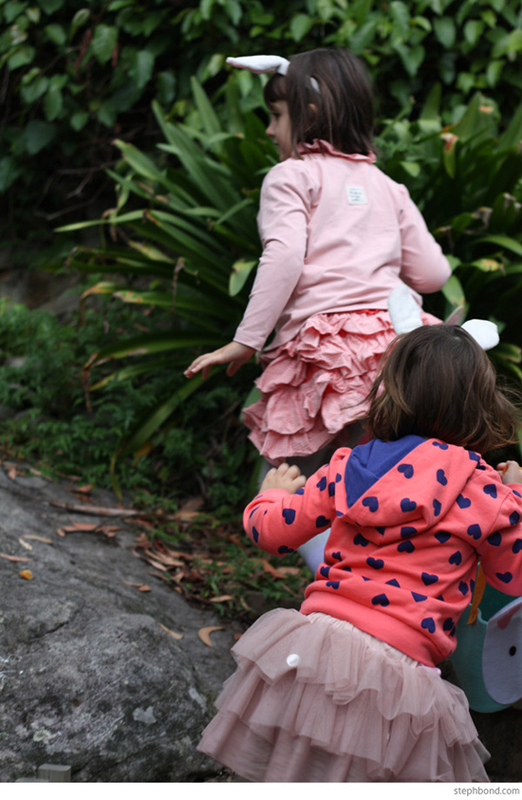 You'll find all my tips for an Easter egg hunt, Easter breakfast, the perfect soft-boiled egg and Easter baking ideas over on Mum's Business. My girls wear eeni meeni miini moh dress, skirt and cardigan, and Mix heart hoodie.